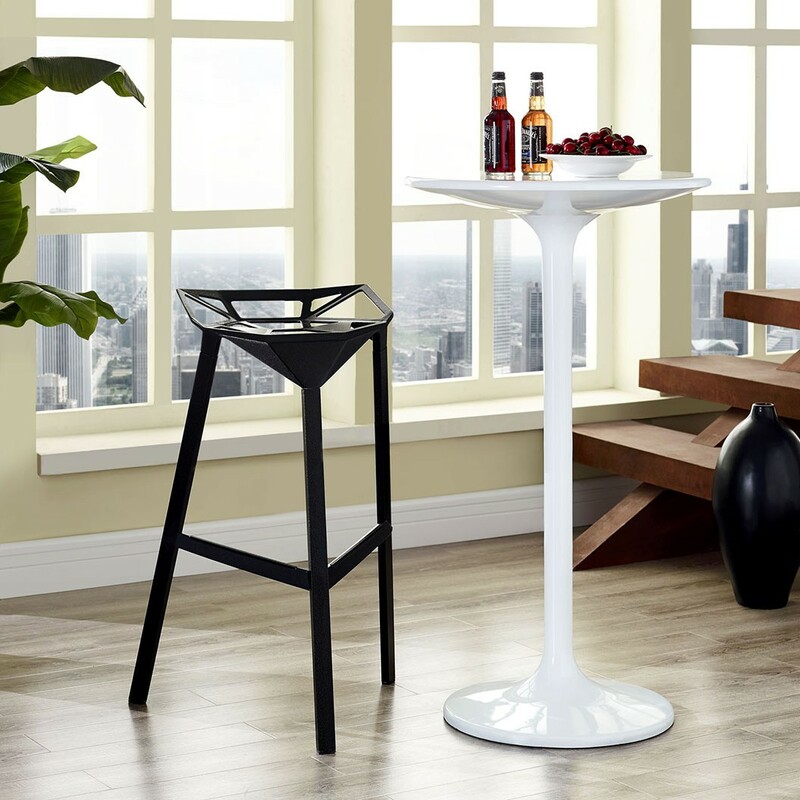 Listening is an art form with this Launch black bar stool that encourages positive social engagement. While surprisingly comfortable to sit upright in, Launch also reminds you to lean forward and smile. It is an edgy piece, that conveys both a sense of minimalist modernism, and a willingness to enter the future. 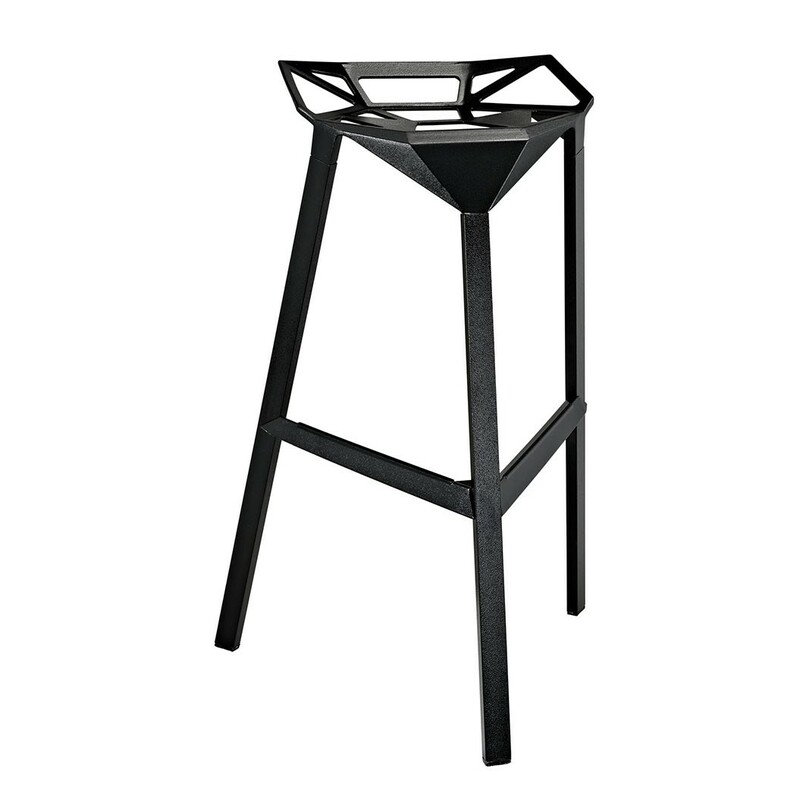 Made of a coated aluminum frame with non-marking feet, Launch comes fully-assembled and stacking for easy use.